Women matter before, during, and after an adoption. An after-care program provides the services, resources, and tools for birth mothers to gain healthy coping mechanisms to assist them in making healthy life choices. An after-care program can provide women with a safe place to return for help to reach their own life goals and dreams after private placement of their baby. The support of an after-care program will empower them to potentially avoid unhealthy cycles impacted by homelessness, substance abuse, and mental health issues. We have developed a model of Post Adoption Services to share with other agencies and attorneys in the hopes of making after-care services a standard level of care. 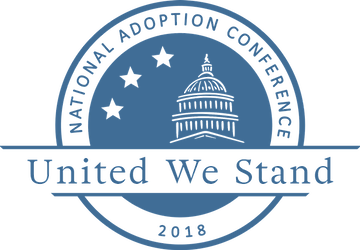 We are excited to share that we have been selected by the National Council for Adoption to raise awareness about the importance of the DKE SWAP Program and to present a workshop about our model at the 2018 National Adoption Conference: United We Stand in Washington, DC. We are looking forward to the opportunity to share the DKE SWAP Program Model with an audience that is made up exclusively of adoption professionals; including social workers, government officials and state workers, attorneys, medical professionals, and agency management. We will be introducing the DKE SWAP Program Model, the impact of trauma-informed care, and the benefits of an evidence-based model for the birthmothers and the agencies. In addition to the priceless impact an after-care program has on birthmothers, developing an after-care program provides the opportunity to understand the services that are needed most and the benefits an after-care program has for adoption agencies. Our hope is to speak to the united cause of adoption and embrace the courage, the bravery, and the love in which the birth mother so selflessly embodies when placing a child for adoption. We want to share how an after-care program provides an opportunity for birthmothers to have hope for the future and to thrive not just survive. 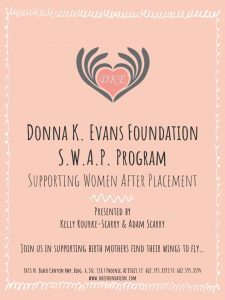 We are looking forward to sharing and celebrating the successes of birth mothers who have been empowered with the tools to heal from all the “life” she has lived, to celebrate her adoption choice, and to have found her wings to fly. Here is a “Sneak Peak” of our DC workshop presentation (DKE SWAP Handouts)! We look forward to sharing our 2018 National Adoption Conference experiences in raising awareness for after-care programs becoming the standard level of care.